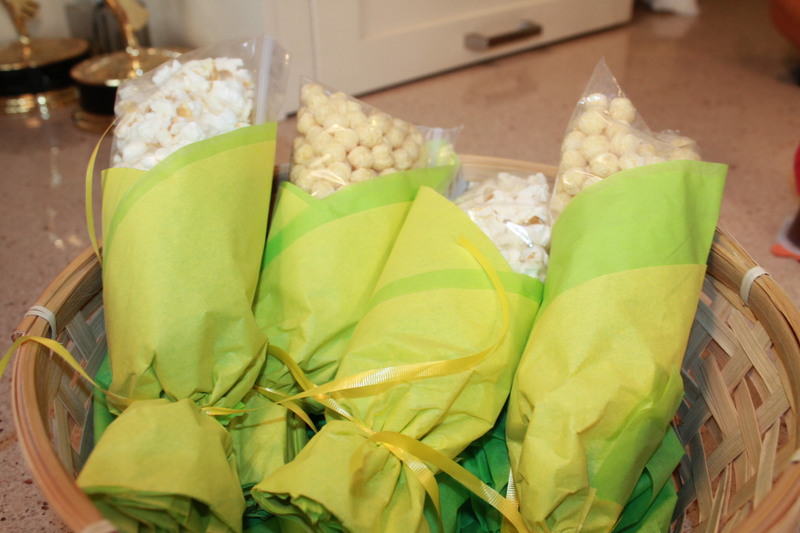 How cute are these for your fall party? 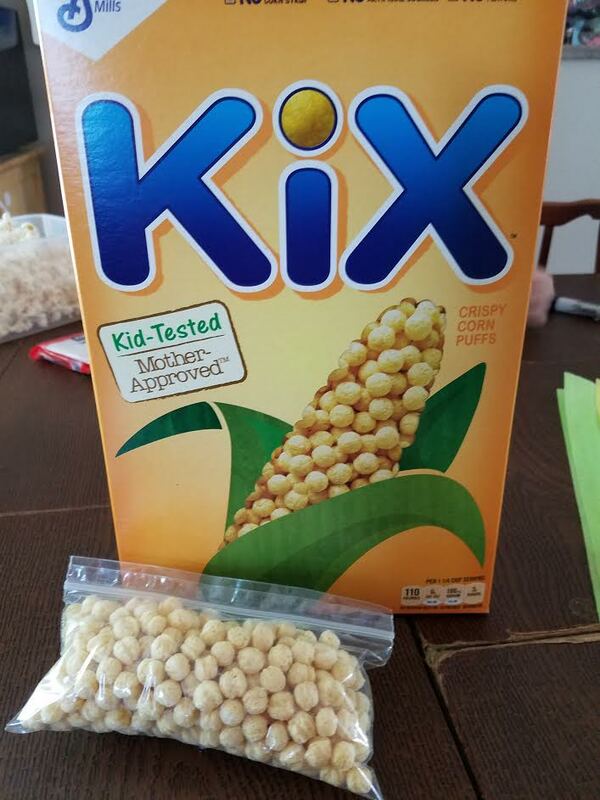 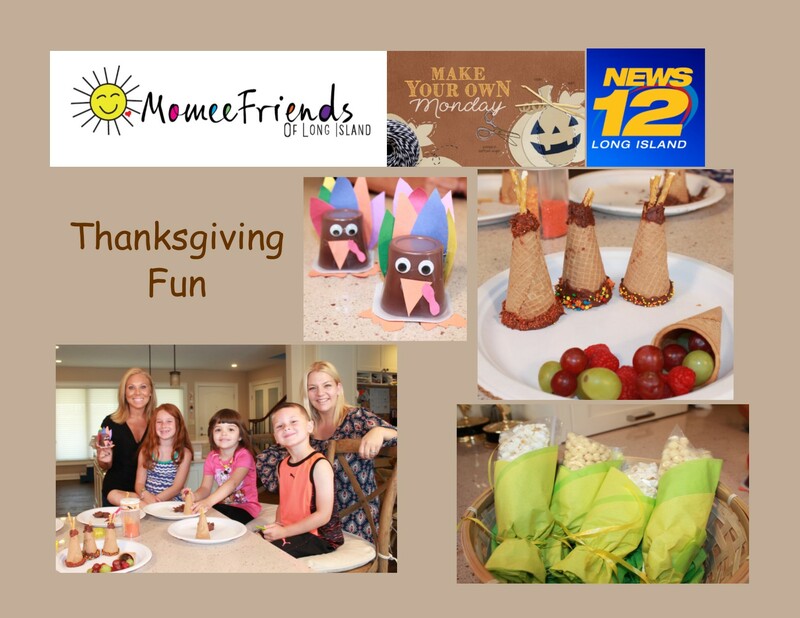 Using Kix cereal or popcorn these can be used as a favor or a treat for your harvest party. 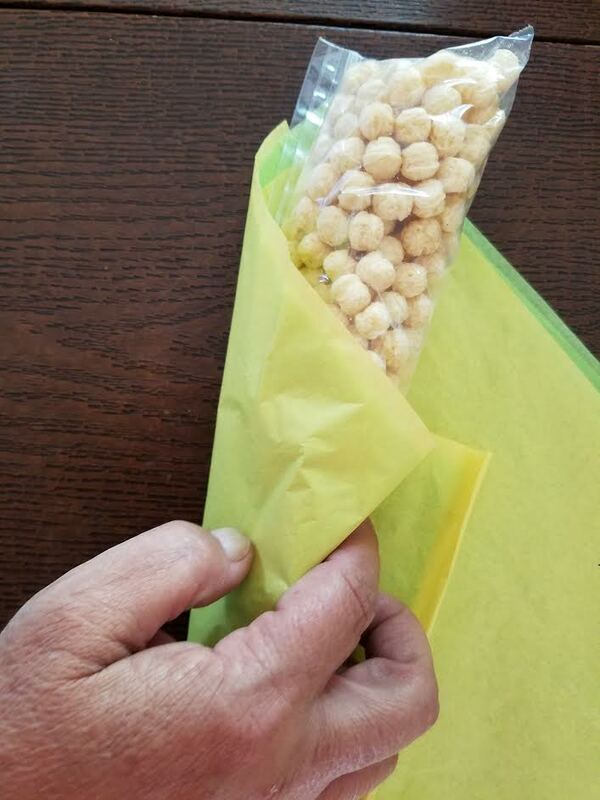 First, fill your Ziploc sandwich bags with popcorn or Kix Cereal. 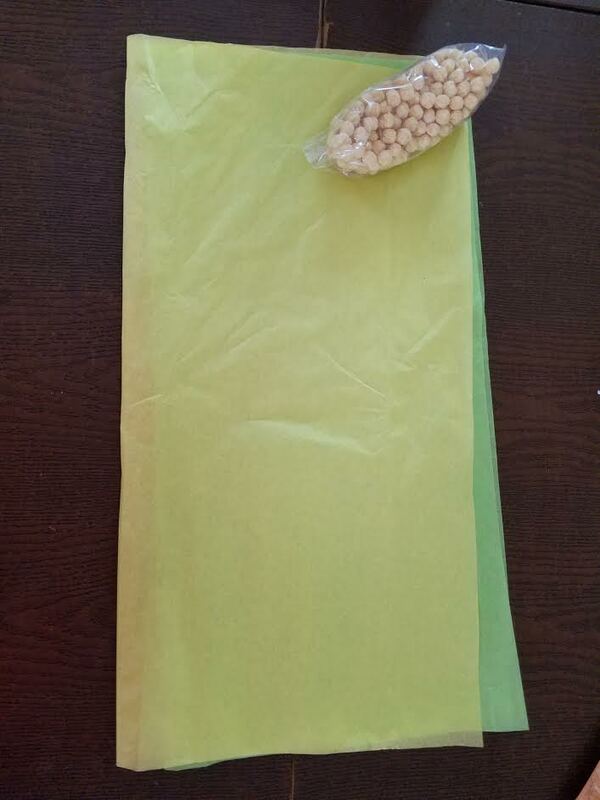 Then, take one piece of yellow tissue paper and green tissue paper and put them one on top of the other. 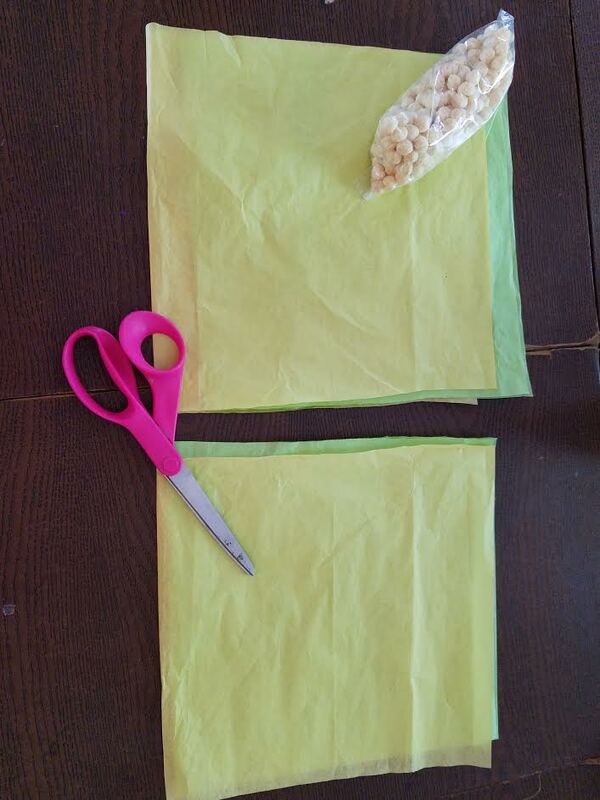 Fold the tissue paper in half and then place the filled ziploc bag in the top right corner of the tissue paper. 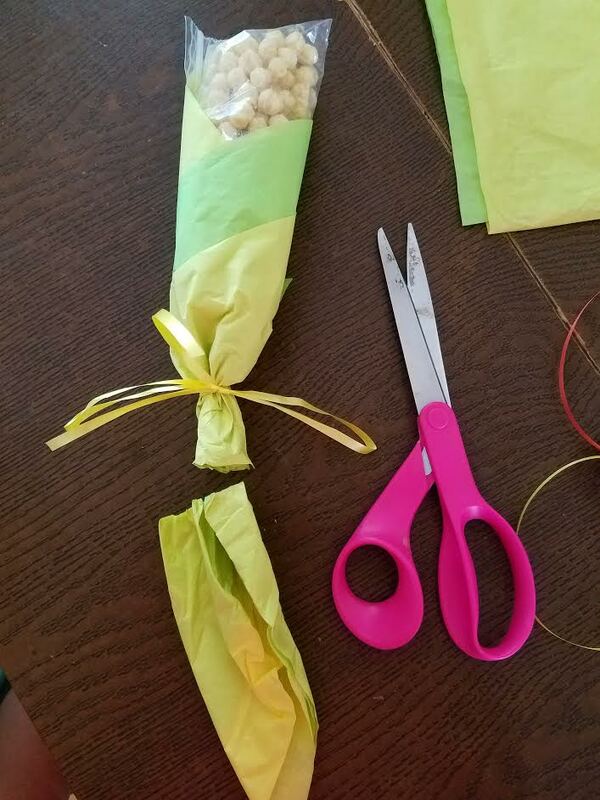 Now, cut the tissue paper in half with scissors taking off the bottom half. 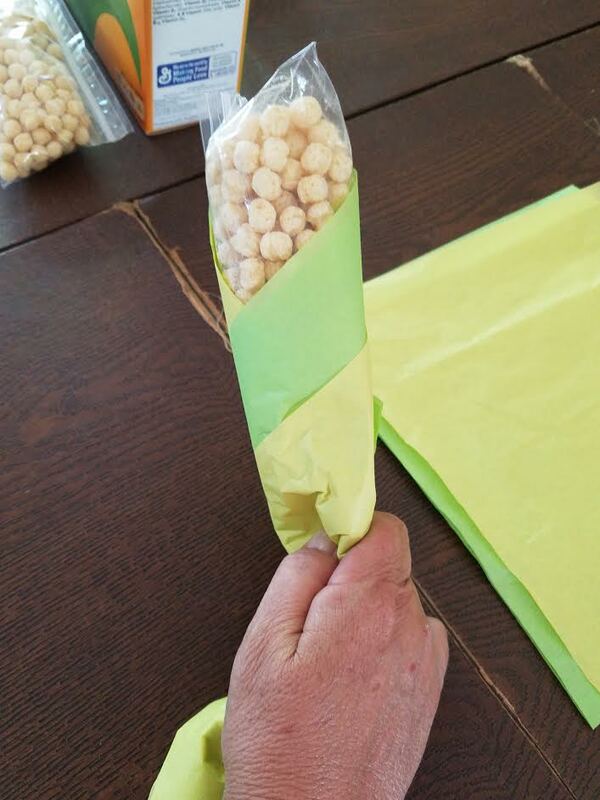 Begin to roll the tissue paper around the bag by bringing the top left corner over the filled sandwich bag. 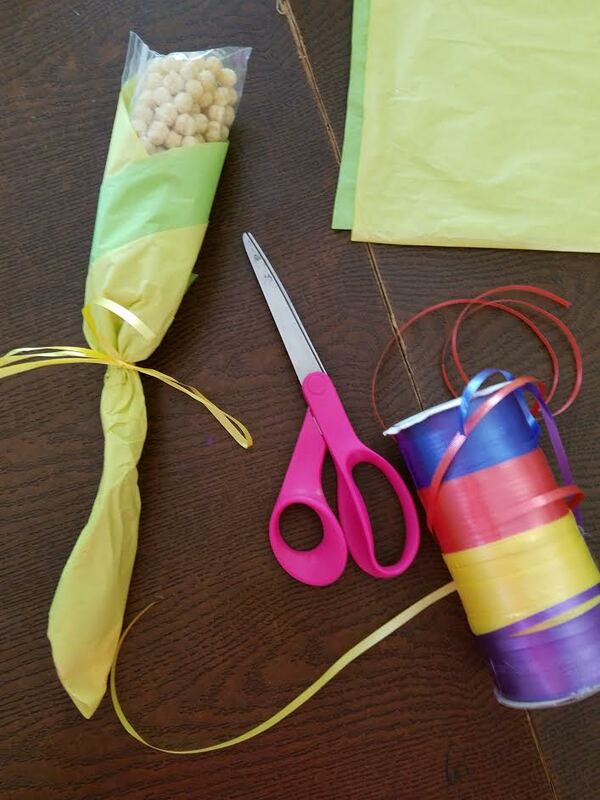 Wrap completely and tie the bottom with a yellow ribbon. 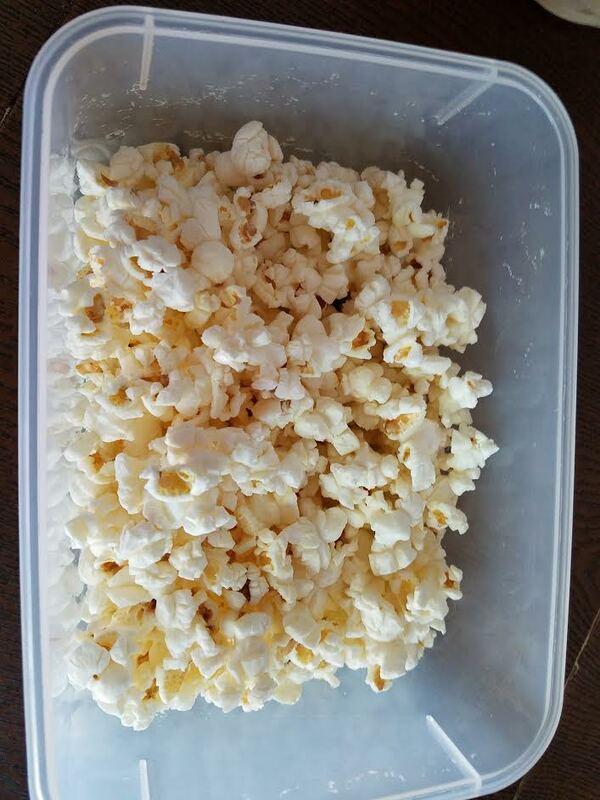 Cut off the bottom excess as shown in the picture below. 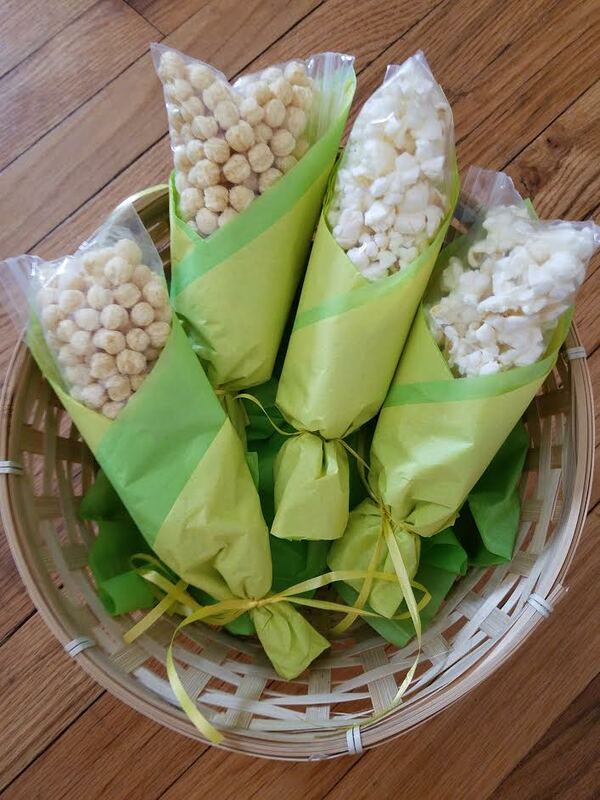 Place in a basket and your corn husk favors are complete!